Eugenio Marlin was born in the Dominican Republic and moved to New York in 1971, and soon after he established himself in Rochester. He has been actively involved in the community and he is presently the President and CEO of Ibero-American Development Corporation, an affiliate of the Ibero American Action League, specialized in developing affordable housing and other structures for community use. Under Mr. Marlin’s guidance, IADC was instrumental in developing El Camino Estates in northeast Rochester which consists of fifty 3 and 4 bedroom single family housing units as well as the implementation of programs aimed at empowering residents to become active participants in elevating the quality of life in their neighborhoods, such as Project HOPE. Prior to going to IADC, he was vice president of Development and Communications at Ibero, where together with Julio Vazquez was instrumental in the conception and later development of the Eugenio Maria de Hostos Charter School, the first and very successful charter in Rochester. Eugenio has been in the communications business for many years and as such managed public relations and promotions at Ibero. He also developed and conducted technical training for transfer technology for foreign residents at the Xerox Corporation. Eugenio is a bilingual translator and writer and has served many corporations developing Spanish language materials for their employees. He was also the editor of the Puerto Rican Herald, a bilingual newspaper, and publisher of El Cultural (newsletter). He was director of public relations and columnist for Swing Informativo. 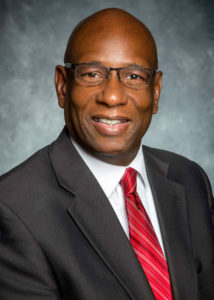 He has operated Marlin Communications Group as a sole proprietor and served as legislative assistant to Gladys Santiago when she was in the Rochester City Council. Through the years, Eugenio has been a member of the Eugenio Maria de Hostos Charter School board, WXXI, Ibero, Puerto Rican Festival and Hispanic Lions Club among many others.